Established in 2003, WordPress (WP) is pretty much the best content management system (CMS) platform to power your website (it’s the same CMS that powers our own website). Today, more than 74 million websites across the globe are powered by WordPress. Here are 20 reasons why you should be using WordPress (if you’re not already)! Whether you are planning on setting up an eCommerce website or simply blogging, WordPress is absolutely free (and invaluable at the same time). Even if your website/blog gains popularity, you won’t be required to pay a dime. It’s free for life (you can even find free hosting or very cheap web hosting that support WordPress). WordPress is without a doubt the most robust and flexible CMS platform for your personal and/or business website. It has amazing versatility and capability thanks to its great features and extensions (I like to draw the comparison between Apple’s apps and WordPress’ plugins here. Just like Apple says that there’s an app for everything… WordPress has a plugin for everything). Because the framework which WordPress is based on is very easy to crawl by search engines, the platform is very SEO friendly out of the box, making it a great CMS choice for website owners and bloggers. Google’s Matt Cutts even endorsed WordPress as an SEO friendly platform during the WordCamp that was held in San Francisco in 2009. Because WordPress comes with a wide range of themes and plugins, customisation is simple and clear. With a little to no effort, it only gets easier and easier to make your WordPress website as distinct and personal as you are. 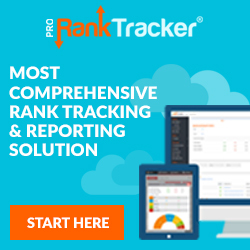 Most website owners want a platform that can integrate with other third-party platforms as well (think newsletter platforms like Mailchimp, or invoicing systems like Freshbooks). With WordPress, you can integrate your site with a number of robust platforms to improve the overall functionality of the site (and again, most of these extensions are free). At the moment, WordPress is being used by more than 20% of all websites in the world, partly due to its user-friendliness. You don’t need to be an expert to use this platform. With only a couple of clicks, your WordPress website will be up and running in a matter of minutes. Having a mobile-friendly site can only bring you positive results. A mobile friendly website allows users to easily and comfortably surf all around your website on their smartphones and tablets (without having to pinch or zoom just to get to the navigation menu). WordPress can instantly enable a mobile-friendly version of your site once you complete the initial setup (with one of the default themes that is). Being the most preferred CMS platform in the world, WordPress is prone to hackers. For this reason, security is taken seriously. While users can take security measures to protect their personal details and privacy like avoiding getting files from suspicious sources, the platform keeps updating its software to keep users safe from hackers. Because WordPress is easy to use, users are not required to hire someone to do the job for them. This makes it the most budget friendly CMS option available today. If you are contemplating switching to a web host provider with better products, services, and prices, the process of transferring your WordPress websites is quite easy (if you’re looking for a good one, we’ve listed our personal best for Australia right here, also did top lists for the UK, Singapore, Ireland, Canada, India & New Zealand). This is largely attributable to the fact that WordPress works well with most web hosts out there. WordPress is a complete solution for integrating multimedia files in your website. The site allows users to add images, videos and audio into your published posts. As well as being easy to upload your files, you can also easily edit them. Auto post scheduler is a WordPress plug-in which schedules drafts to automatically recycle and publish old contents as fresh ones. So, there is no need to schedule draft times manually, and republishing old content keeps the website looking current. WordPress allows users to monitor and manage their WordPress sites from a solitary, easy-to-use dashboard. Moreover, there are email notifications that users receive whenever there are new updates, making WordPress site easy to manage (I know I keep repeating this point, but it’s really that easy to use). The functionality of WordPress is nearly flawless and works very smoothly. But as with any other CMS platform, there are potential issues that may arise. With WordPress, the support is very good & the community is massive! They are always available to answer whatever question you may have using their forum. With a virtually unlimited pool of themes to pick from, you can change the overall design and layout of your website with a few clicks. Besides transforming the appearance and feel of your website, these themes can also add new features like interactive post sliders, parallax backgrounds, unique home page layouts, etc. WordPress also makes it easy for users to create a community that’s open to the public. The site allows anybody to join in the conversation on the blog posts, and enables for forum interaction with such plugins as BBPress (if you thought setting up a forum was difficult, think again, all possible for free with WordPress). WordPress is by far the best blogging platform, and if you have a blog that is powered by WordPress, you already know this. But WordPress has grown way beyond this, we already talked about setting up forums, but you can easily create complete business websites, landing pages, basically everything you want to achieve… it’s probably possible with WordPress. 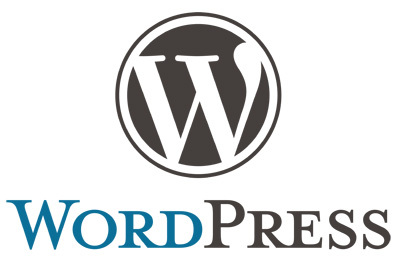 WordPress is now being used as a robust solution for even creating eCommerce sites. The platform makes it possible for anyone to turn an ordinary website into a multi-million dollar digital shop thanks to powerful plug-in tools such as Shopp, WP eCommerce, and WooCommerce. I know, I said it again, and again, and again… but I truly believe WordPress’ success is because it’s that easy to use! Multiple of our clients have referred to it as “an online version of Word”, can’t get much better than that!